Faustino Asprilla, a £44,000 show horse and a drunken mate might sound like the start of a joke but it was anything but to the former Newcastle striker. 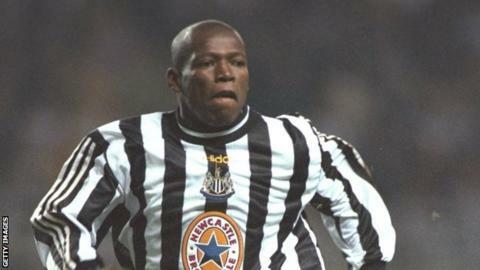 Asprilla, who is also a former Colombia international, lent the horse - named Lucas - to a friend. Unfortunately the friend ended up giving it away after drinking too much at a party following a parade at the Buga Fair. Lucas went missing on 17 July and so desperate was the 45-year-old ex-Magpie to be reunited with him that he offered a £1,090 reward for information leading to the horse's return. Valle del Cauca regional police chief Fernando Murillo told Bogota daily El Espectador that Lucas was eventually found in a stable in the town of Florida. "It had been left there by some people we are now seeking," said Murillo. "What really happened was that 'Tino' lent the horse to a friend who, in a drunken state, had given it away to two young men." Asprilla, who became a cult hero at Newcastle during a spell with them between 1996 and 1998, had lent his friend the horse so he could ride it at the fair, which was attended by 2,500 people. Who gets in our Football League Managers XI?